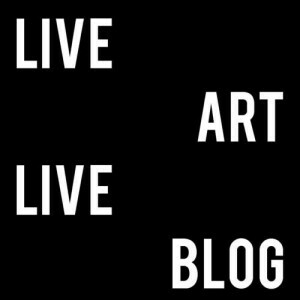 The LIVE ART LIVE BLOG is an online platform aiming to increase the visibility of performance and live art events through the medium of a live blog. Live blogs are widely used today to report from events as diverse as football matches, trials, riots, earthquakes or revolutions, for audiences all over the world, and it is the fact that these events are covered live that confirms their relevance in the economy of attention. The same kind of attention has not yet been awarded to the art form for which liveness is a constitutive quality – the LIVE ART LIVE BLOG hopes to change this. The LIVE ART LIVE BLOG is a tool for the dissemination, documentation and research of performance. While “live” in performance can often also mean “exclusive”, as the access to an event is limited to those able to be present at a certain place and at a certain time, the LIVE ART LIVE BLOG allows people to engage with performance events irrespective of their present location – both live, as the performances unfold, and through a growing archive of minute-by-minute accounts of then past performances. While access to knowledge today is often artificially restricted, the LIVE ART LIVE BLOG creates a platform for sharing knowledge: of and through performance.